A song from the CD, "Agitation! Propaganda! ", can be streamed in the YouTube clip below. Mixed by Sanford Parker, "Eyehategod" will feature the final recordings of EYEHATEGOD drummer Joey LaCaze, who passed away last August of respiratory failure. He also suffered from severe long-term asthma. He has since been replaced by Aaron Hill, who comes by way of New Orleans' local acts MISSING MONUMENTS and MOUNTAIN OF WIZARD. 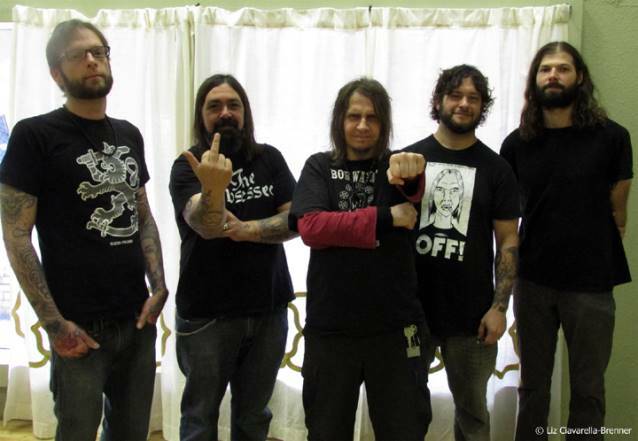 In a recent interview with NPR, EYEHATEGOD frontman Mike "IX" Williams stated about the band's forthcoming CD: "We started out the recording with Billy Anderson. He recorded the drums, bass and some guitar, but that was a mess. There was a documentary crew in there filming, and it was distracting away from our time recording. Jimmy [Bower, guitar] was having a couple problems at the time too, waiting for his kid to be born, so it was a weird time to be in the studio. We ended up using just Joey's drum tracks from Billy. He's awesome — I love him and there's no hard feelings, but we just wanted to finish it somewhere else. We got Steve Berrigan to come out to where I live two hours outside of NOLA, and redid the bass and the guitars. Phil Anselmo [PANTERA, DOWN] gave me some ideas for the vocals, like how we did the ARSON ANTHEM record; me and him work well together." 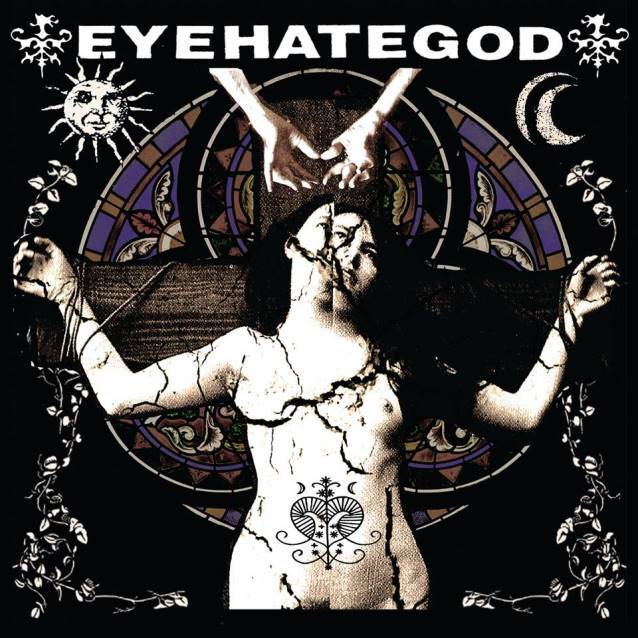 Asked if EYEHATEGOD ever considered giving up following Joey's passing, Mike said: "It was never an option as far as I'm concerned. I don't think it was for anybody else either. "This all happened at the end of September, when we'd just gotten back from a six-week tour of Europe. He's had pretty bad asthma ever since I've known him, and in Europe he was having these weird sleep apnea things when he was sleeping. It was a breathing issue, a respiratory thing, but I don't know; I'm not a doctor. So when we got back, that's when he passed away, so there was a little bit of time in there when we had to think — 'We've got shows booked. What do we do?' We did have to cancel probably 50% of them, but we still just said, 'Let's keep going, that's what he would want us to do.' We'd even had conversations before, when Joey and I would talk, and he'd ask me, 'Who would you get to replace me?' Things like that, and just be honest with each other. He knew the band would keep going, and he wanted it to. "To me, it's just part of life; it's just the way things happen, what cards you're dealt, how life treats you. "We don't know how to give up. That's been the story of our entire career, our lives, even without the band. We just don't know when to quit. It's just a matter of moving forward."